Sports people are always asking ARC people who they recommend for the absolutely most effective sports training program, and the answer is always the same. It doesn’t matter whether it is for a basketball player, a baseball player, a football player, a volleyball player ,or even a hockey player. It doesn’t matter if you now live in the Los Angeles area, but plan on moving to Stamford, Connecticut, or Las Vegas, or Houston, or South Florida, or Pasadena, you can find the number one training program in the nation in all these cities. Young ARC basketball players and their parents rave about the sample training the players received prior to their games. The players felt empowered to perform at a higher level. 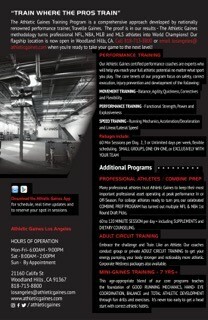 Now with the opening of the new Athletic Gaines training facility in Woodland Hills, southern California athletes can now get back in shape and improve their performance level. 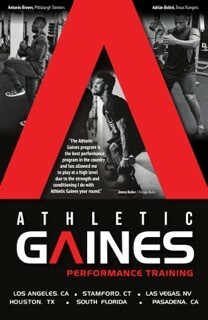 If you want to achieve the utmost success in your chosen sport, contact Athletic Gaines at 818 713-8800 and tell them ARC sent you.